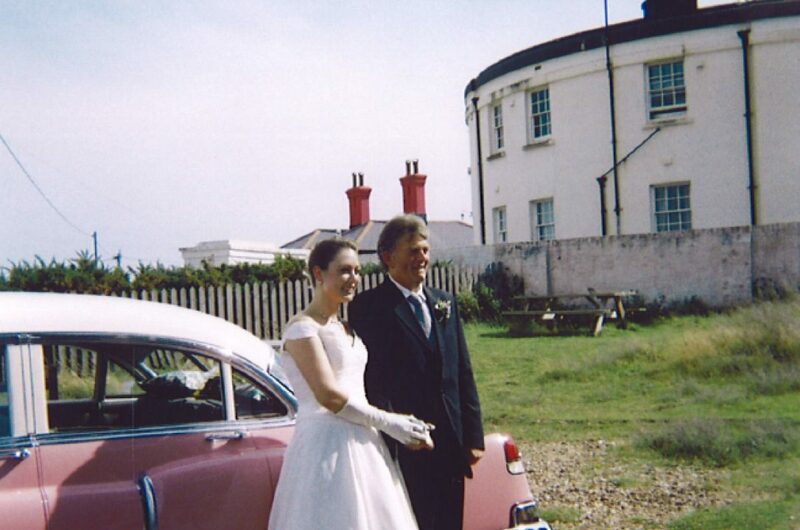 We are pleased to offer the Old Lighthouse as an alternative venue for weddings, film and fashion shoots, musical performances etc. If you are interested in booking the lighthouse for your special occasion, you should contact us here. 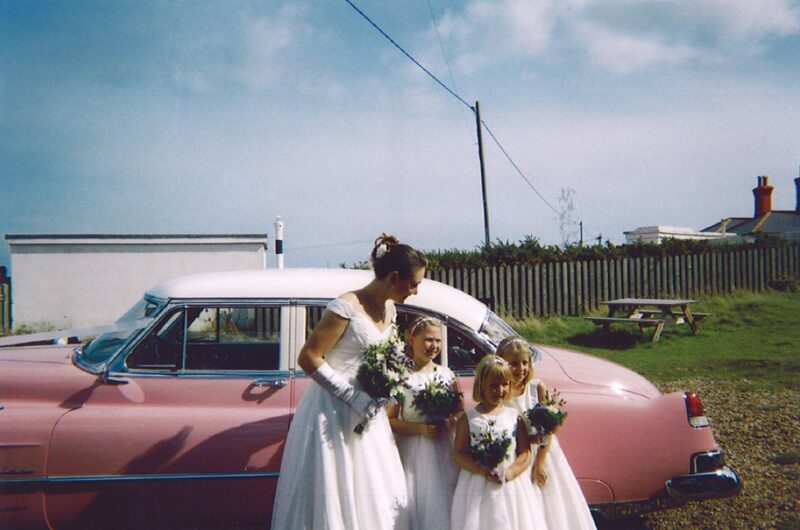 To arrange a reservation for a wedding please email the Wedding Advisor on [email protected] or telephone 01303 230921. If the telephone is in answerphone mode please leave a message and the Advisor will call you back. Ample free car parking adjacent to the site. 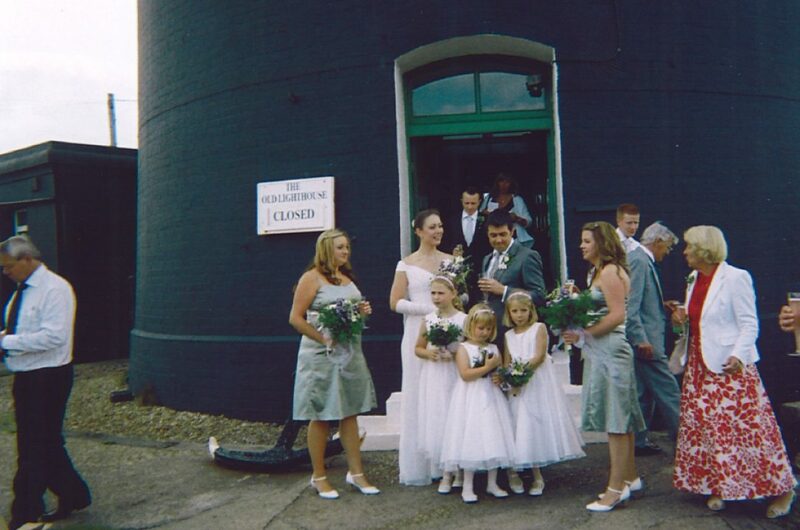 Fee for use of Lighthouse for a Wedding Venue £500. Visit or telephone Wedding advisor to set date and time of wedding and request Wedding Agreement. Return two original copies of signed Wedding Agreement with fee. Confirm final plans with site manager two weeks prior to the scheduled wedding. No smoking is permitted within the Lighthouse. Weddings must take place within the building, but may be on any floor. Guest limit at the Gallery level is limited to 10 persons, and the bridge level to 30 persons. Wedding set up must take place on the day of the wedding. Rice, confetti or artificial materials are strictly prohibited inside and outside the lighthouse and on the Dungeness Estate. The site shall be used as is, without rearrangements. A staff member will be on duty and present on the site. No dress changing facilities or bathrooms are available. Portaloo Toilets may be hired by Lessee and placed on site. Motorised vehicles are prohibited within the fenced compound,with the exception of the bridal car. Excepting guide dogs, no animals are permitted in the Lighthouse building due to Health and Safety regulations.